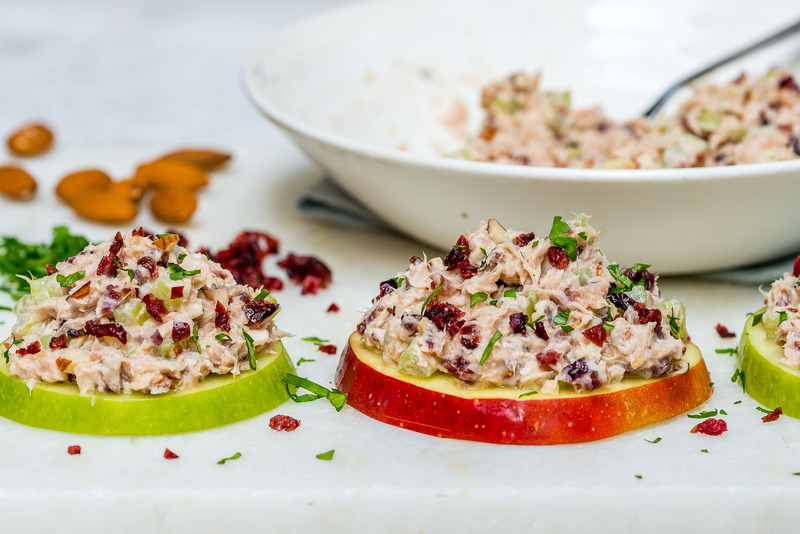 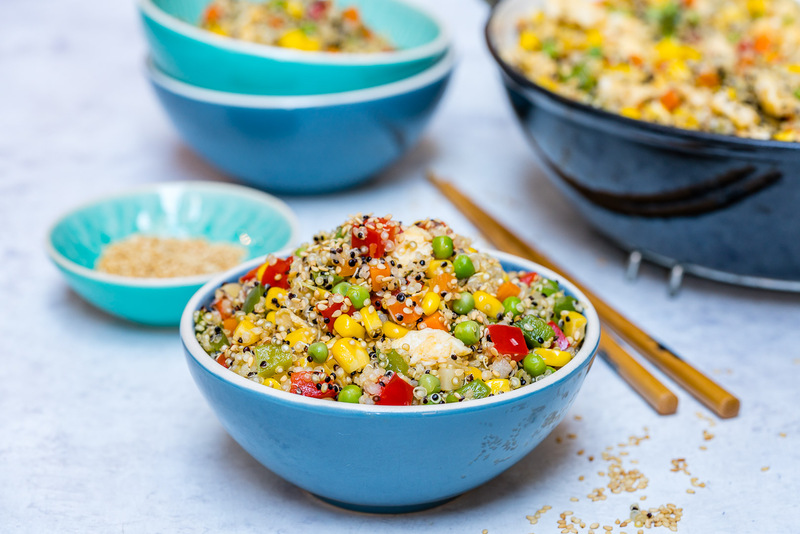 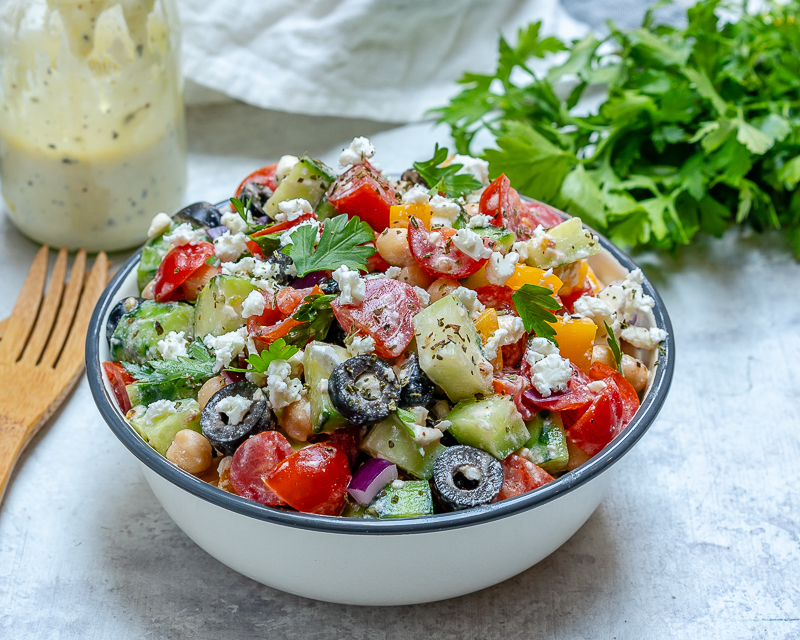 This Clean Eating Greek Chickpea Salad is Fresh, Light and Tangy! 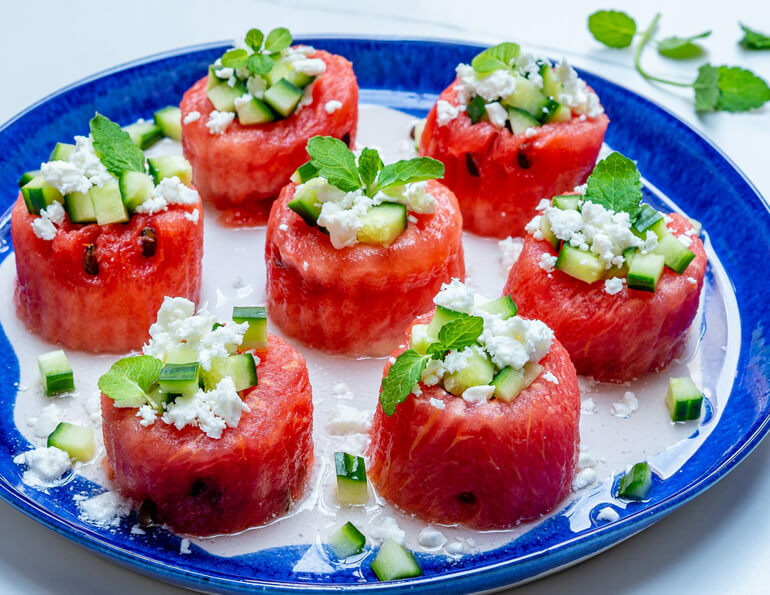 These Watermelon + Feta + Cucumber Cups are Summertime PERFECTION! 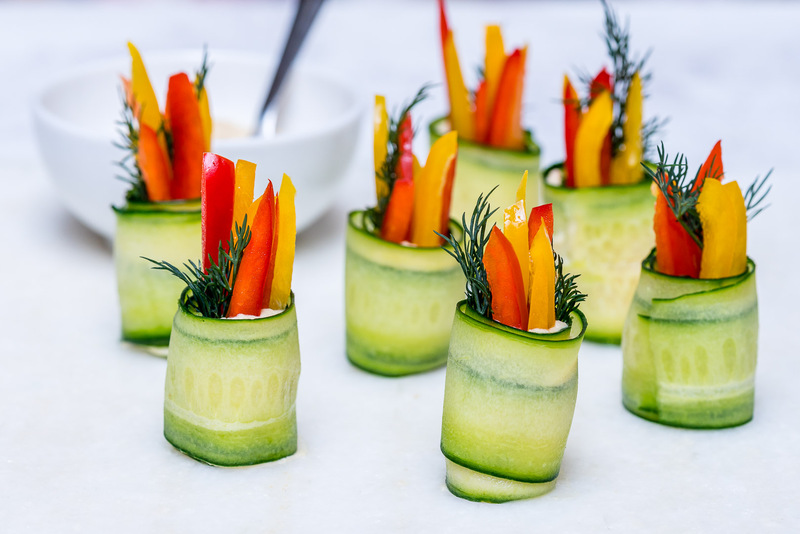 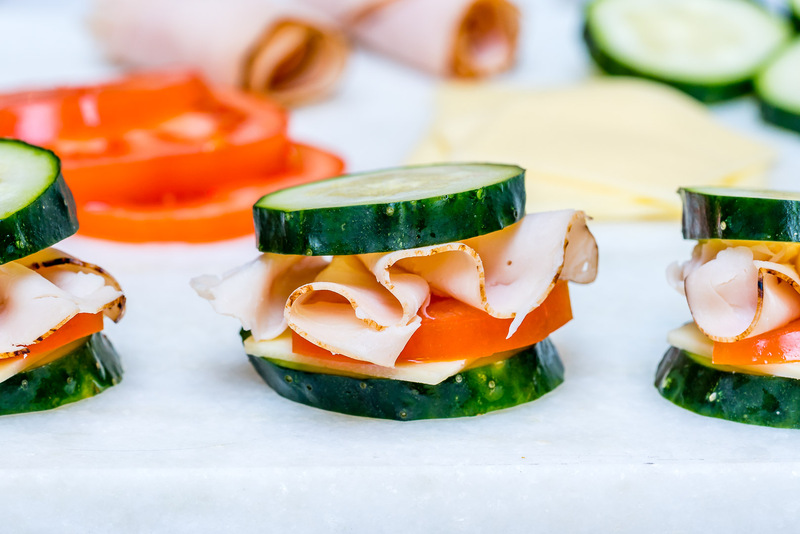 Hummus Cucumber Roll-Ups are GREAT for Entertaining with Clean Eats! 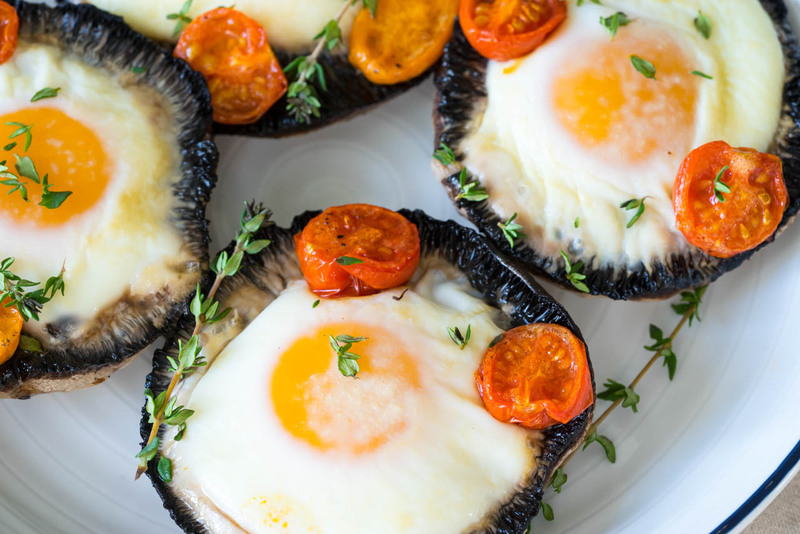 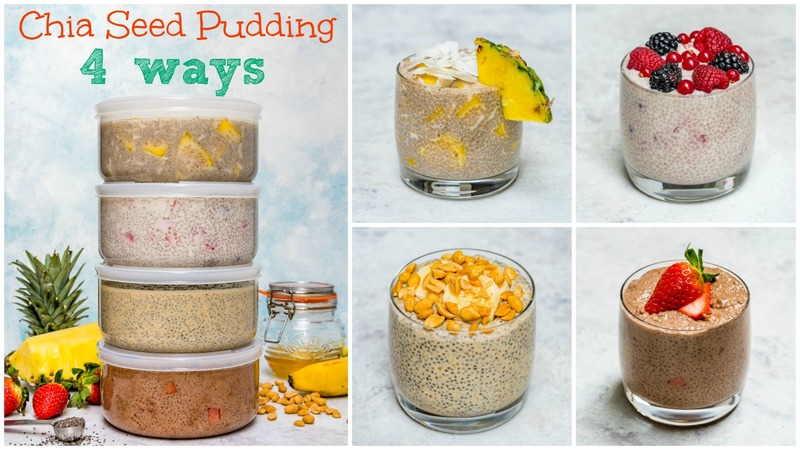 4 Clean Eating Chia Pudding Recipes Everyone Will LOVE! 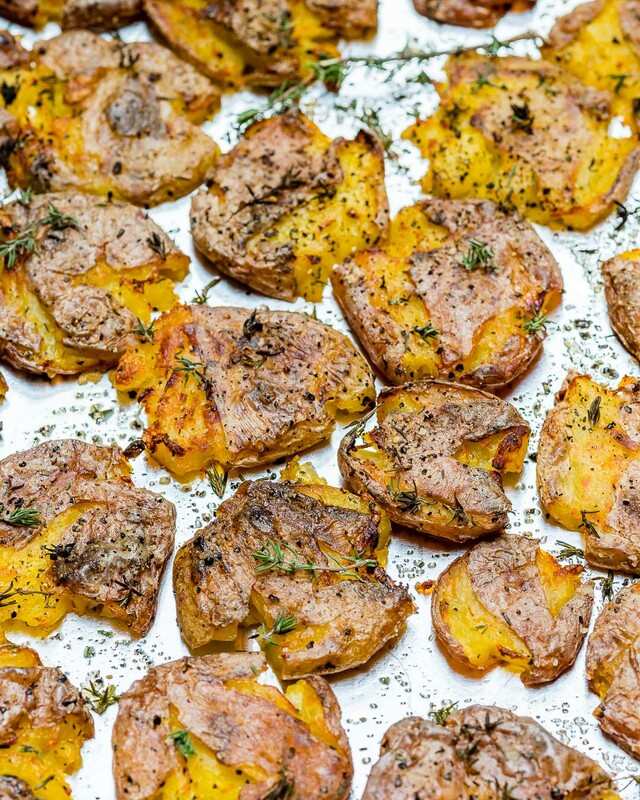 Clean Eating Friendly Crispy Smashed Herb Roasted Potatoes!